The European Social Charter should be interpreted as recognizing trade unions for military personnel. This is an important step towards the full recognition of the right to freedom of association for members of the armed forces. 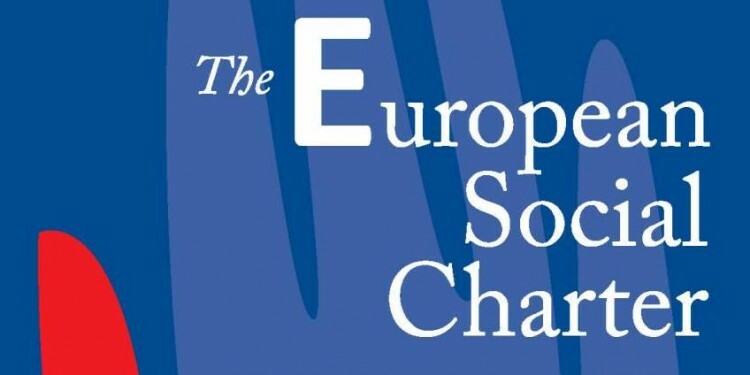 In September 2017, the European Committee on Social Rights (ECSR) decided on the complaint EUROMIL v. Ireland in the framework of the collective complaint procedure adopted in the Additional Protocol to the European Social Charter providing for a system of collective complaints. The report became public on 12 February 2018, four months after it had been transmitted to the Committee of Ministers of the Council of Europe, which should examine the follow-up to be given to the case. In 2014, EUROMIL, in support of one of its Irish member association, namely the Permanent Defence Force Other Ranks Representative Association (PDFORRA), lodged a complaint against Ireland for violating Articles 5 and 6 of the European Social Charter as regards the rights of Irish military personnel to organise and bargain collectively. The complaint dealt with the fact that Irish military associations do not have full trade union rights including the right to join an umbrella organisation such as ICTU (the Irish Congress of Trade Unions to which trade unions in Ireland affiliate). This means that military associations are kept out of the overall national negotiations that ICTU conduct on behalf of their members, such as those on salaries in the public service. No violation of Article 6§4 of the Charter regarding the right to strike. In the last twenty years, EUROMIL have been supporting Irish military representatives in building up their professional associations to defend the rights and interests of military personnel and their families. Nowadays, these associations are considered as well-established and functioning associations, often serving as examples for younger associations. Indeed, military personnel across Europe should be entitled to fully exercise their right to freedom of association and be involved in a regulated social dialogue. Nevertheless, despite being seen as models for other associations, the fact that Irish military associations do not have full trade union rights limits their ability to represent and defend military personnel as full “Citizens in uniform”. The outcome of the complaint is thus a tremendous success for military personnel in Ireland, but also for members of the armed forces in other European countries. “It is the first time that a European supervisory body explicitly recognizes trade union rights for military personnel” said Emmanuel Jacob, President of EUROMIL, at a press conference on 12 February 2018 in Dublin. Those countries where military personnel enjoy association but not trade union rights will be interested in the Irish case. As highlighted by the ECSR, restrictions to the right of association for military personnel may not amount to a blanket prohibition of professional associations of a trade union nature and of the affiliation of such associations to national federations/confederations. The need for effective consultation mechanisms and negotiation systems, including for military personnel, is further emphasized. Collective bargaining, including pay bargaining, is explicitly recognized for military personnel, who should ultimately exercise their right to collective bargaining by the intermediary of professional associations that are able to fully participate in negotiations and establish collective agreements. EUROMIL will therefore continue to use the Irish case as a model for military associations and refer to decisions taken at European level, establishing new international standards. This may only reinforce arguments used by associations all over Europe calling for full trade union rights.